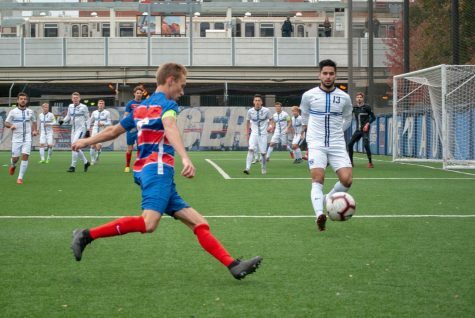 After big losses and minimal tournament appearances since 2011, the Blue Demons brought back in former DePaul player to get the team back on track. Since Mark Plotkin has taken over he has been trying to lead a resurgent group of players to more conference victories. However, the process of getting back to their glory days in the early 2000s will take a little bit longer than possibly hoped for. The team has beaten some tough opposition this season, including, at the time, 14th ranked Western Michigan 1-0 at Wish Field. Plotkin believes these type of games will help the team in the long run because playing tougher opposition will test his side and make them better. Senior captain Harry Hilling played his last game at Wish Field last week. DePaul failed to qualify for the Big East tournament for the second straight season. Plotkin says he is excited to see where the program is heading and how it will improve in the near future. Among those freshman are Jack Richards, Matthew Brickman, Matt Solem and Jake Fuderer. Both Brickman and Richards have made significant contributions in their first season, with Richards having scored two goals this season. While these freshmen are the future of DePaul men’s soccer, seniors have also helped the team improve and better throughout the season. They been be mentors to the younger players, but have also made significant contributions on the field. Other seniors say they are excited to see the direction the program is heading, and that the team will be a force to be reckoned with in the years to come. Sell also talks about the experience about playing on the road and how exciting that is for him and the younger players. 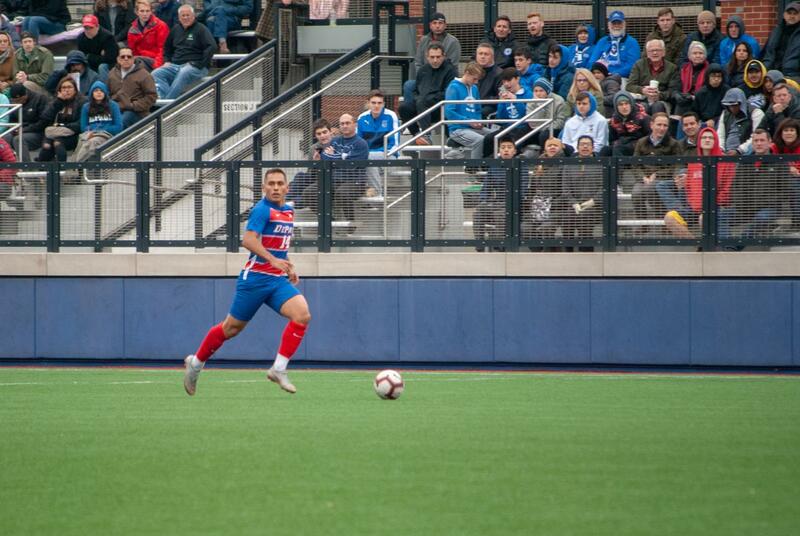 In terms of on the field performances this season both Plotkin and his players say they feel there have been times when the team has played well, but that they still have areas in which to improve. For Plotkin, that starts with the defensive side of the ball. Even though DePaul failed to qualify for the Big East tournament after losing to Marquette on Wednesday, the team has shown they are getting better and growing every single day. Some of the wins they had this season, like beating Western Michigan, show that the future is bright for Plotkin and his team.